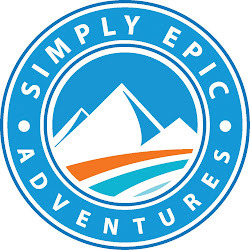 Simply Epic Adventures offer a range of big days in the Scottish hills, ranging from ‘short’ (to us anyway) three – five hours days to monster epics which will challenge the hardiest souls. We can link these into longer trips with any number of days catered for, travelling across the depth and breadth of Scotland. These rides will take you into the remotest parts of Scotland, including Glen Coe, Lochaber, Ardnamurchan, Torridon, Cairngorm, Lochnagar, Blair Atholl & Skye, all guaranteed to bring a smile to your face. We can arrange accommodation and provide transport for you and your bikes for every trip...what else is included – well, basically everything you want and need from tuition to mechanical support; first aid to first at the bar gets a free drink! You name it, we can provide it. We offer multiple days, with all the above on offer – you can bike seven days in our mountains and not see the same trail twice – unless of course you want to return for one of the true gems...we can’t guarantee it wont happen. Costs – see our price guide to give you a good idea of price, then call us to discuss your exact needs. 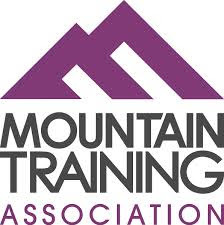 Also included; professional guiding by qualified, experienced mountain bike leader, tuition and biking handling skill-sessions to get the most out of your day, full mechanical back-up on the trail and first aid. The 7 Stanes complex of cycle routes are incredible facilities to learn the basics of mountain biking, improve your core bike handling skills for more advanced riders or just to get out and ride. They have a range of trails from blue to black, which we have a comprehensive knowledge of, including some of the secret trails within. We can use these trails to help introduce you to mountain biking, improve biking skills, help develop what you have or just show you round the various trail centres with a fully supported package from travel to accommodation and mechanical support. Centres include Glentress, Innerleithen, Kirroughtree, Drumlanrig and Laggan and indeed many inbetween. Give us a call for more details; holidays can last from one day to one week...there is no shortage of trails, nor fun to be had. Costs - see our price guide to give you a good idea of price, then call us to discuss your exact needs. 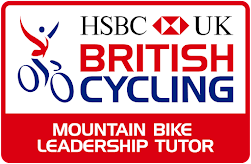 Also included; professional guiding by qualified, experienced mountain bike leader, tuition and biking handling skill-sessions to get the most out of your day, full mechanical back-up on the trail and first aid. Fancy a night out under the stars? Camping or staying in one of Scotland’s many remote bothies? These are some of life’s 5 star memories...journeys every ‘free-spirit’ should have on their ‘bucket list’ of life. We offer the chance to get into the wild and enjoy a real journey into Scotland’s remote heartland. If you would prefer to carry your own equipment then we have a fleet of bike trailers, or we can arrange to have your gear transported to the next watering hole. These trips are truly, and simply, epic! Remote, peaceful glens with rutting stags and soaring eagles...these are real adventures away from civilisation with fully qualified staff on hand to offer guidance and advice on how to travel light and get the most out of your trip. These trips can be overnight or part of a longer journey across Scotland. Costs - see our price guide to give you a good idea of price, then call us to discuss your exact needs. Included; professional guiding by qualified, experienced mountain bike and expedition leader, full mechanical back-up on the trail, tuition and biking handling skill-sessions to get the most out of your day, first aid and bike trailer hire. Travel to and from the departure/return point can be arranged. We offer guided night time mountain bike riding...well, basically anywhere in Scotland you want to go...but in the first instance, we have some favourite sneaky trails in the countryside around Glasgow to whet your appetite for anything bigger, or anywhere in Scotland. If you’ve never tried night riding through the forest trails, give it a shot, it brings a whole new dimension to riding...and quality biking. We can supply lights for you and tailor your journey to your needs. You will be riding with qualified and experienced night time riders with quality lights. Costs - see our price guide to give you a good idea of price, then call us to discuss your exact needs. Also included; professional guiding by qualified, experienced mountain bike and night-time leaders, full mechanical back-up on the trail, tuition and biking handling skill-sessions to get the most out of your night, first aid and lights hire if necessary. Travel to and from the departure/return point can be arranged.